Question: I would like to use VLC media player on my Linux system. How can I install VLC on [insert your Linux distro]? 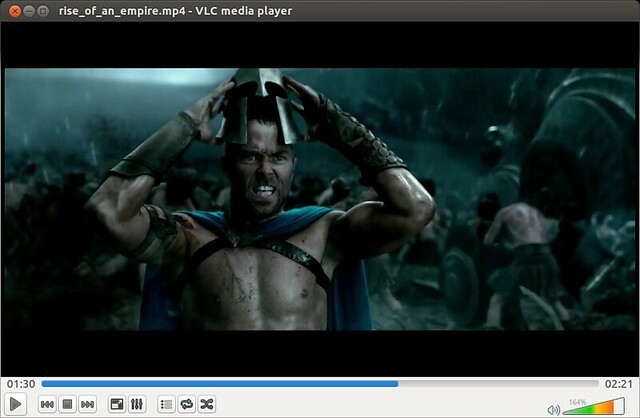 VLC is by far the most popular and reliable open-source media player available on Linux. VLC can play audio and video files of many different codec and container formats, as well as stream over the network via HTTP, RTP, RTSP, MMS streaming protocols. VLC is included in the base repositories of Debian-based system, so installing VLC is straightforward with apt-get. To install VLC on CentOS, you need to set up Repoforge, EPEL and RPM Fusion repositories first. After that, simply use yum command to install VLC. On OpenSUSE, you can install VLC with zypper after enabling 'VLC' repository as follows. The following is the screenshot of VLC media player. wow! This is Sparta 300 rise of an empire .